I'm really pleased with how it turned out - hopefully she'll be able to get me an action shot! I was quite happy about the highlights and different shades you can acheive by using a blowdryer to speed up the bleach reaction in spots and by layering the bleach. Oh, my goodness - it's amazing! I thought it was painted--even cooler that its bleach!! And Im expecting my third in september...wink wink!! I think this is really cool, but I have a feeling my boyfriend would freak out if I brought the baby out with it on, lol. "It's on the internet...no stopping it now." If I stepped into your shoes for 1 day, would the grass really be greener on the other side? What would I see through your eyes for 1 day? Send entry to: [email protected]. Sign with first name, city and state/country. 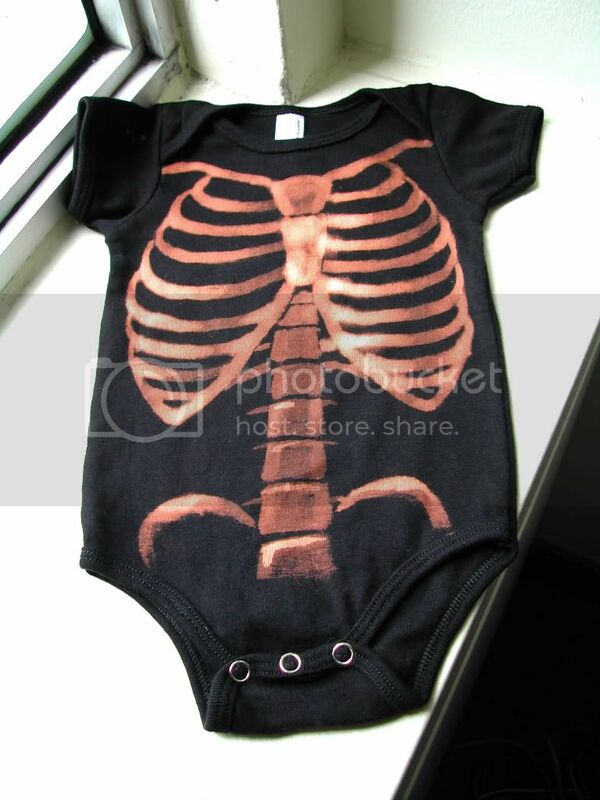 I wanna make a baby so I can dress them in cool onesies like this! This is awesome, I may have to make one for my son.. I am so sick of everything being some shade of blue. Where on earth did you find a black onesie?? Did you dye it yourself? I'm poor and I'm weird, baby, you've got no time for me! This is so cool that it *almost* makes me want to have human kids. Or, maybe make them for canine children? Smart cannibals don't eat brains.